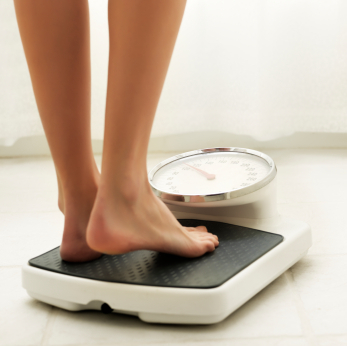 A new study of successful dieters reveals how to win at losing weight. There’s a lot of noise about how to lose weight: Your friends say do this, your colleagues swear by their detox diets, your mom is on the latest Dr. Oz-endorsed diet pill, but none will really help you peel off pounds for good. Losing weight isn’t simple—but it’s also not that complicated either. Lifestyle changes and breaking bad “fat habits“—not diets—is how you’ll achieve a healthy weight for life. A recent study from the University of Minnesota examined the diet and activity behaviors of more than 400 adults who had lost at least 10% of their body weight in the year prior to the start of the study. The subjects were asked a battery of questions about their diet and lifestyle behaviors and they found four habits that were most predictive of weight loss success. Eating a breakfast, lunch and dinner daily is considered a “normal” eating pattern and is preferred to keep your energy levels and hunger hormones stable. If you skip meals, you’ll only eat more later in the day and going for more than 3-4 hours without eating will make you crave high-calorie, high-fat foods that are low in nutrition (read: junk food). Those who limit hours in front of the tube have leaner physiques. Those who watched the most TV also had higher fat and sugar intake in their diet. Not only is TV full of food advertising that makes us want to eat, people often get into the bad habit of eating treats and unhealthy snack foods while watching their favorite programs. Also, the more time you spend watching TV means the less free time you have to be active. Subjects in the study that ate out most frequently were also the most likely to be overweight. It doesn’t matter if it’s a fast food joint or a 4-star establishment, when we eat out, we eat more calories. More eating away from home was related to greater fat and sugar intake, lower fruit and vegetable intake, and less physical activity. See some of our healthy recipes for inspiration. They’re quick and simple so anyone can make them. Greater use of weight control strategies was most consistently related to better weight, diet, and physical activity outcomes.